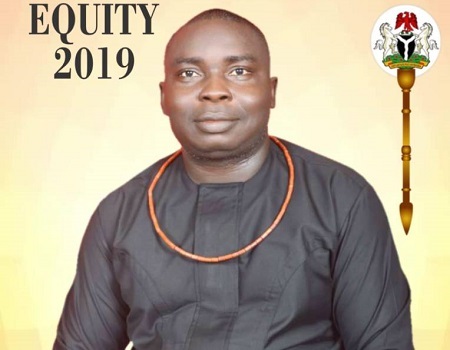 Social Democratic Party (SDP) candidate for Warri Federal Constituency into the House of Representatives, Chief Monday Keme, has alleged of plot by some ‘desperate politicians’ to substitute his name as the party’s flagbearer ahead of the 2019 general elections. Keme, who, however, did not mention names of those behind the plot, noted that the plan was to substitute his name for that of a serving federal lawmaker to was recently denied ticket of the ruling Peoples Democratic Party (PDP) in the state to re-contest same position in next year’s election. Addressing newsmen in Warri, on Tuesday, the SDP candidate, who did not rule out the possibilities of the ‘desperate politicians’, allegedly working in connivance with some of his party executives, called on the state and national leadership of the party to resist the plot to replace his name as the candidate of the party. According to him; “Sometime in August 2018, the National Working Committee of the SDP met and issued Notice of the 2019 General Election where interested members of the party were requested to purchase Expression of Interest and Nomination Forms starting August 20th to September 7th, 2018. “As an interested party member, I bought the forms and submitted to the party through the Delta State Chairman, Hon. Oke Idawane. “On September 28th, 2018, I appeared before the party screening committee in Asaba and was screened and issued a certificate as the only candidate of the party in Warri Federal Constituency. “On the 3rd of October 2018, the party conducted primaries for the office of Senate for Delta South Senatorial District between Dr. Nana and Barr. Irone Rita. Keme insisted that he remained the candidate of the party and enjoys the support of party members who had been working hard to ensure the SDP won the Warri Federal Constituency seat at the polls.